They have implemented controls so that the homeowners and travelers are kept at arm’s length by masking contact information. This does not benefit either party. On top of that they have implemented “booking” fees designed to compensate themselves for the added value of their websites. These fees, which range from 8-12% of the rental fee, are additional yet provide no value to the renter. How can they make these changes without any resistance? Think of one word—leverage. These sites are huge. They have thousands of home listings and they use that market power to control the homeowners and because of this inventory they’ve become the “go to” sites for travelers looking for vacation rental homes. These booking fees actually help pay for the increasing national advertisements that we are seeing through emails, magazine inserts and television commercials. VRBO will claim that these fees provide the traveler with the security that their financial investment is protected against fraud as well as a 24-hour guarantee of support for the duration of the trip. That’s just not possible. These folks in the call center, sometimes 1000 miles away, have not visited the community nor the homes. And if an issue arises (i.e. a mal-functioning air conditioner), who will VRBO call? How can they help since it’s unlikely that they have a list of local maintenance contacts? They will have to contact the homeowner. The same people who’ve been kept at arm’s length. You see since they control the market, they can implement many different ways to maximize their revenue streams. This is the outcome of monopolistic practices. Perhaps VRBO should explain once again how that booking fee helps the traveler. As for the homeowner, this new eCommerce booking model is taking away the control of his/her business. Again, because of the tremendous market power, travelers get pulled into this model. The homeowners are experiencing the loss of contact with the traveler and loss of control of their finances. If they resist, well VRBO can take steps to subordinate the home’s listing to reduce the exposure. The homeowners have little knowledge of the folks occupying their property and no control over the flow of the money. And should something go awry, well the homeowners have virtually no recourse beyond accepting what VRBO decides. So, what are the alternatives? Travelers should be told that these sites are not the only game. There are real vacation homes that are truly rented by owners. 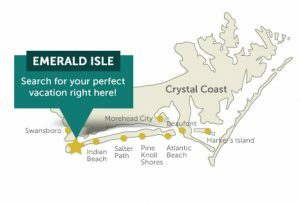 Our website for homes in North Carolina, NC Beach Rental by Owner, including Emerald Isle, Bald Head Island and Atlantic Beach is a prime example. We charge no booking fees and we encourage transparency between the renters and homeowners. The costs are lower and the personal service and support from the home owner can make the vacation experience great.